I am sorry for all the problems everyone is having with beds. Having put off getting a new bed for our son for as long as possible, it is nice not to be alone in this though! His bed is over 25 years old, (he basically went from the crib to a queen bed that had been for guests) and he is 19 now, 6’2″ and has mentioned more than once “how comfortable the dorm beds are” so my husband and I figured it is really time to get him a new bed. I started to look in to it a few years ago, and just gave up because of all the confusion, and the horror stories I was hearing from friends whose new beds were shot within a few months, deep valleys they have to “work” to get out of, and ridges between the valleys. I am very glad I found this site before even beginning to try and get him a bed, thanks everyone for posting here, I’m learning a great deal. What would you guess his 25 year old mattress set is worth in dollars and cents? I have a really good reason for asking! Used to sell used beds. 25 years + 50 bucks cash!! thats a date to outback stake house! It would be scrap value only and it usually costs more to move it than to scrap it. There is nothing in a 25 year old mattress of value. I think a 10 year warranty is a little long for something you (and your wife perhaps) sleep on some 10 hours a day. I wouldn’t expect to pay more than 500 to 700 dollars for a mattress, I can’t remember what I paid last time. After 5 years, I think I got my money’s worth. Spend more and then perhaps the warranty should go up a bit. Depending on how old you are, that mattress might be getting quite a workout and I’m not just talking about sleeping. I do agree that moel numers should be standard so peole can compare with other sellers. Most everything else you buy has them and you can shop for the best price. Just my opinion. Do you know that a warranty means nothing? there are so many loop holes that a company next to never gives a warranty claim. Absolutely. Our Serta collapsed. The inspector came out and found a dot the size of a head of a pin, literally. He denied the claim on that basis. I couldn’t believe it. Sam’s and Costco are the only companies that will take the return no matter what. Just wanted to give a quick feed back on everyone complaining about prices and wanting things cheaper. Not saying that I don’t agree that things have gotten more expensive but its gotten more expensive for everyone. Retailers have to pay employees, mattress companies have to pay for product and manufacturing. I have a friend who works at a mattress store and he told me that some of the mattresses that they have there they as a company had to pay over $1000 at cost just to get them. I personally have laid of a $400 dollar mattress in the store and a $4000 mattress and there is a huge difference between them. Go to the sales people who know about beds and how they can help your needs not how much it cost. What did you pay for the car your drive, the living room table? None of those things will benefit your health the way a bed will. Get all the facts before you complain. That’s funny. One of the things the writer of this post is pointing out is that you CAN’T get all the facts, because the stores and manufacturers won’t give them to you. They won’t even tell you CRITICAL information in making an informed choice, like the foam density of the foam used in support layers, which to large extent determines it’s durability. Just the fact “pillow top” mattresses are sold at all means mattress retailers have no interest in selling good products. Pillow tops wear out in a few years, leaving you with a sagging mattress that needs replacement. If they had any integrity at all they would sell you mattress with durable support core without a pillow top, and have you buy a 3″ topper (memory foam, etc) that can be easily replaced when it wears out. I’m done with them, and encourage everybody to abandon these charlatans . There are plenty of small companies now that will sell you a quality mattress online at a very good price, and they tell you EXACTLY what materials they are using in their mattress. It’s not rocket science. Spend an hour or so on a site like Mattress Underground and you’ll be an informed consumer that won’t get taken again. Yes I would and have bought a car without trying it. Just because you test drive a car doesn’t mean you will know the quality of it just like laying on a mattress will not let you know if it will sag in 6 months. Only knowing what is really inside will you have some idea as to the quality, durability and value of a mattress. I like what The Mattress Underground say about the top 5 mfg’s, AVOID them, and myself with 35+ years in the industry would have to agree. We offer a product to extend the life of your present mattress so you can sleep better and avoid having to deal with shopping for a mattress, giving you comfort to sleep and time to research the industry so when you do replace your mattress you will be able to get a better value. Environmentally the mattress is a nightmare to landfills with the cheap quality product they are producing. As one BIG retailer promotes, “if your mattress is 8 years old you need to replace it” well to that I say if you are buying the quality mattresses they are selling then they are probably right. Mattresses are 100% recycled your just trying to get people to your website. Just know that the 5 – 8 years your mattress lasts you have to ask yourself is that cheap mattress as comfortable to you as a more expensive mattress. Could you imagine if ever restaurant sold the same food? How could they compete. If you want something with the same model name buy a Tempurpedic. There the same price everywhere too. This will save you gas money and time. Thanks for the sales pitch… buy a latex ( natural latex, not synthetic) and it will last for 50 years. Too bad your too cheap and wont spend 2500$$ on a bed. Okay, time for me to interject. This may come as a shock to you all, but whopper, I am part owner of a local mattress store! I have some information that will benefit EVERY SINGLE ONE OF YOU, in one way or another. DO NOT BUY A BED UNLESS YOU KNOW WHAT IS INSIDE OF IT! Now, here comes the part where the truth hurts a bit. YOU GUYS HAVE ALL THE INFORMATION YOU NEED RIGHT IN FRONT OF YOU. Remember those tags that you can’t remove because of well, JAILTIME? Every single mattress MUST have one, which lists the EXACT components inside of your mattress by WEIGHT. Meaning, if your bed is a combination of Latex and Polyurethane foams, then your tag should say something along the lines of ‘Latex Foam Rubber ………. 60% – Polyurethane Foam ……….. 30% – Cotton Batting ……….. 10%.’ You can replace whatever values you want in that sentiment, and, by law, THE TAG MUST ACCURATELY REPRESENT THE BED. Now when it comes to sales, the industry has a standard, and unfortunately that standard is low. Personally, our sales team doesn’t worry about commission, as we don’t pay out commission based on sales. We pay them daily. Think of ANY retail salesman as a shark, and inform yourself on the materials in a bed and how/what they do, not what they tell you. If you hear rubber, that’s a good sign. If you hear foams, that’s a bad sign. If you hear NATURAL, that could mean anything from 10% – 90% Natural. There is no such thing as 100% Natural. Also, Natural DOES NOT MEAN ORGANIC. Don’t be played for a fool. A human being has the ability to discern and make their own decisions. Not doing the research is ignorance. Searching the name of a bed on Google is not research. Asking about what materials are in your bed and Googling how they react to body pressure over time is research. We manufacture beds, and therefore know the laws involved with them. This isn’t biased. We know there are scumbags, just as there are in ANY industry. What did you expect? MOVING on to the other main subject: Prices/Longevity. I always ask this question, as you’re in bed for roughly one-third of your LIFETIME. Do you drive? How much did you pay for your BMW 350i out there? That car will last you a much shorter time than your bed. Considering you paid $40k for that, and $600 on your bed. Is it worth buying something along the lines of $2k-3k for a mattress? YES, BUT ONLY IF YOU ARE BUYING LATEX, or ANYTHING WITHOUT POLYURETHANE FOAMS AND A GOOD COIL SYSTEM. The number of coils does NOT matter. For the love of God, PLEASE stop asking that ridiculous question to salespeople. They don’t know the answer, and frankly, the coil count has absolutely NOTHING to do with the bed. It’s simply an arbitrary number. They can fit 1200 smaller coils in the same space 900 ‘normal’ coils might fit. It DOES NOT MATTER. The coil system should be the last thing to break down on your bed if you bought anything with pocketed coils (or individually-wrapped coils, pick your term). Lastly, here comes the part about the markups in the industry. They’re median. It’s not a volume item. End of story. Anybody in business will understand that you simply cannot make a living if you’re selling a bed that lasts 8 years for a 10% margin. Anyway, best of luck with absolutely everything mattress related, and hopefully you’re sleeping well with what you ended up grabbing, but please do not trash on the mattress industry as a whole, because it’s not a ‘scam’. Congrats on the luck purchasing online, if I had a dollar for every customer who ‘just bought a bed online and it’s horrible,’ well, I wouldn’t have to sell any more beds. Thank you for this post. I am elderly and need to move from a memory foam mattress to a firm mattress because I broke my back. I have no clue how to tell the difference in materials even to research on the internet. I would be interested in talking to you, if possible. Try a mattress as close to the last one one had. Never go to any place where you can not exchange it if it wouldnt work for you. I had a king coil pillow top(small one) slept comfy for just over 20 years. Been through 2 in the last month other brands. If this one doesnt work I am back to king coil. Sorry Parker but I have to disagree with you on a few point and while I’m not longer a retail store/mfg owner, I have been in the busy for over 35 years. Law tags requirements vary state by state, some with as little as “All New Materials”. A % tells very little as to the QUALITY of the material listed, foam density, ratio of short and long cotton fibers, spring wire gauge etc. True a lot of salespeople don’t make commission they make what is know as “SPIFFS” or mfg/retailers bonus or kickback money for selling a certain product and/or at a certain price. Spiffs can be $20 to $200 or MORE per sale. So for a salesperson that gets spiffs to say “I don’t work on commission ” is to lead the consumer to think the salesperson is unbias and has no interest in what product a consumer selects. WRONG! True a consumer should consider the fact that they will spend up to a 1/3 (8 hours a day if lucky) of their life in their mattress and buy one that is comfortable and durable, but that doesn’t mean they have to spend a grand or two. 368 is the Full size coil count, 450 queen, more in the king. But you are right a good coil will be the last thing you wear out. It’s the padding and comfort that wears out 1st, so a good spring with high density polyurethane foam, quality insulator and cotton with good combination of linters works for me. Plus I prefer a REAL box spring as opposed to the hard foundations, semi-flex etc that is so profitable to mfg’s. The box spring is the “padding under the carpet” the shock absorber to extend the life of the mattress. Lastly if your selling mattresses that last ONLY 8 years your selling the junk stuff. I stand by my belief as a major retailer stated in their ads that “if your mattress is 8 years old it is time to replace it”, I say if you’re buying what they are selling, they are probable right! I enjoyed reading your comments and feel we share a few preferences in a mattress. I would like to know if you know some mattresses that have the L&P Hinge-flex innerspring that you mentioned on your post show in Jeff Boulters blog (shown below)? Seems to me, the 2 sided beds from years ago were more comfortable. Also, I like the idea of using both sides to increase the years of life and comfort. Its seems hard to find a store that sells a 2 sided bed. I am ok with buying a 1 sided mattress. I sleep on my stomach and prefer a medium amount of firmness. I am about 170 lbs. Thank you and looking forward to hear from you. Hey Jim , I do know of a couple manufactures that at least the last time I had information about offered the 368 coil unit. Colton mattress in Asheville NC, http://www.coltonmattress.com/home . And Rainbow bedding in Ohio 330- 852-3127. Rainbow has other retailers in different markets but not sure about Texas, you would have to call them. There are probably manufactures in you area that use that good old spring and it would probably be more of a mom and pop type company. Just remember it is what you’re putting on top of the spring that is even more important then the spring. Lol…junk stuff. Tempur , which has the least percentage of warranty claims in bedding history , also went back to 10 years in 2015. So did most manufacturers. This is because having people think any mattress will perform at a maintained level for that long doesn’t happen. have switched to bare bones cheap.products. Am ready to find some horse hair to stuff into a large mattress cover – that would be heavenly to sleep on and would last! I agree with most everything you stated here. Just a few things I believe you were stated were not exactly correct. I have been out of the mattress business for a couple of years now, but I worked in manufacturing and sales for over 15 years. You are absolutely correct in stating the mattress information is on the law tags and I believe every mattress sales person should have the knowledge of what is inside of each bed and how they are constructed, but the fact is many do not know and do not care to know. They just want to sell comfort and earn commission. The number of coils alone means absolutely nothing. It is the combination of coil design, gauge of steel, and number of turns. There are beds with 400 coils that are far more durable than any bed with 1000 coils ( based on queen size). Latex is by far the most durable, but it is expensive and almost impossible to find pure latex in any bed. Many will say it “contains 100% latex” The key word is “contains” but that just means it could have 5% of 100% latex blended in or less. The individual pocketed coils or wrapped coils are not tempered and have the shortest life span. Making the beds 1 sided instead of 2 sided also shortened the life span and that is why beds now last 8 to 10 years instead of 12 to 20 years. The warranty of a mattress has nothing to do with how long a mattress will last either. The warranty covers against manufactures defects and defects in the material and does not cover normal wear and tear. If you do not have a defect in the first couple of years then you most likely will not have a warranty issue. You could have a 25 year warranty on the bed and it wears out in 8, that’s not a warranty issue that is normal wear and tear. In NC a lifetime warranty on a mattress means the mattress has a 7 year warranty, which is what the state considers the life of a mattress. Another lie from the mattress industry is your mattress will double in weight after 8 to 10 years. This is a boldface lie. I have never seen a mattress that has doubled in weight even after 20 years. My current mattress is 12 years old, it was 210lbs when I bought it and I can still lift it to flip it or carry it, but in no way could I do that if it weighed even 300lbs let alone 420lbs as the mattress industry would like you to believe. Maybe if you never changed your sheets or mattress pads for those 10 years and your body sweat never evaporated this might be able to happen. I would say that more than 90% or more of the mattresses in the industry contain polyurethane foams. You will be very hard pressed to find anything without it. Even Tempurpedic contains polyurethane foam. The density of the foam is also only part of the equation. Some companies use filled foams to increase the density and that reduces the durability. So you can have a 7lb foam that is lower quality than a 4lb foam. In general as long as it is above 2lbs density you are okay for the quality. 1.8lb and lower is usually on lower in mattress. The national average for markup on mattresses is 44%. The manufactures suggested retail price is usually 100% or higher, mattresses are rarely if ever tagged at that price for sale. I believe Tempurpedic is probably still the highest markup in the mattress industry and most of theirs is around 60% to 70%. As far as pillow tops go, they are the same thing as the plush mattress in there line. A $500 pillow top and a $1200 pillow top will not be even close to the same thing. A pillow top takes a little more labor to make and has additional fabric around the border and an additional tape edge. It allows the foams to be lofted up a little more to give a thicker appearance and a softer feel without adding more padding to the bed. Usually you will pay about 8% to 12% more for a pillow top due to the extra labor and fabric, but that is it. They last the same amount of time as their plush version. Plush and pillow top version will show more body impression than a firm padded mattress and that should be just common sense. Buying a bed online I have to agree is a horrible idea. I strongly advise against it, unless your the type of person that can sleep on anything and do not care much about what it feels like. Nope…Tempur sets fixed prices and retailers only make 52 %.
. And cannot change price. Since you are part owner of a mattress store, my question to you is what is the comparison of a mattress you can flip to one you cannot flip, why would one be better than the other?? 2 sided mattresses never had an adequate support system as they always rested on the opposite comfort padding. Why bother putting a stable support system in , if it’s just sandwiched in the middle ? Oh.. and warranty claims have reduced since the industry realized 1 sided beds with more premium material and a true bottom/support system is better. Sleepys will beat any price by 20% or its your free. I’m going to go on record and say they have never given away a free mattress. Because they’d rather beat it by 20%. Mattress sales are bogus. The original price is high to give the feeling it’s a quality mattress and you are getting a deal by getting it 50 off. You’re terrific! You saved me all the time it would have taken me to write the same information. I have sold mattresses, beds, and furniture, for over 18 years. Your point about referring to coil count is right on! Although, I do know the numbers of coil counts, but it certainly didn’t matter to the customer. The lighter the metal the more coils in the mattress. Thanks for putting your expertise on this site. Well Parker I will agree with most of your post. However the number of coils do matter if your comparing the same gague wire. As far as pocketed coils go the more coils smaller or not support you better. Yes most coils will outlast the padding. Most retailer have know idea just how heavy the foam is in the beds they sell because the factories never tell them. I have sold beds for over 26 years and have had 27 different mattress makers on floors where I’ve worked. Getting the real deal on what’s inside them can be hard even if you own a mattress store like I do. An example is the 1.3lb foam in all the Serta product that has a honest retail price of $999. or less in a queen set. 1.3lb foam is crap. Some of my King Koil and Corsicana is even worse. I did read a comment about The Mattress Underground. That is probably the best website anyone could ever go to when they are shopping for a mattress. 95% of all queen sets should never retail for more than $2000. Everything high is just added markup. Period! Mattress companies have colluded with sheet companies to deny the average person a set of sheets. The new “standard” is 15″ and up. The old standard and the one I have no problem continuing to live with, is 6″-9″. Not everyone wants a foam mattress but when Tempurpedic got in the game, the whole world followed, leaving some of us without a place to sleep or a set of sheets that fits our beds. We sell mattresses that range from 6″ to 14″ our sheets are guaranteed to fit all beds. 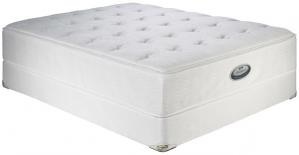 We sell all the top brands Sealy, S&F, Simmons,Serta and Tempurpedic. We also carry all the most popular models from all the top brands. Just like every industry there is misconceptions that consumers believe. It is true at one point in time they did make 22″ mattresses, but just like many other mattress misconceptions this is old news. I love sleep like the dead . Org but they still have old irrelevant information that consumers believe to be the Bible of the mattress industry. In their defense mattresses change on a continual bases. When new issues arise the industry tries hard to counter it by correcting the issue with improved products. But it is science…..a mattress is the most important product you can buy. We spend an average of 10 hours a day on them. First you need to find proper support to correctly keep your body especially your back and spine properly aligned..then adequate comfort level to relieve any pressure on your body parts…lastly the proper pillow to keep your neck properly aligned while you sleep. As far as mattresses being marked up of course like any other product…restaurant food is marked up 300%. A mattress stores does indeed have the information regarding the materials that make up each mattress, this is law in most states….so you can compare them…throw names out the window when shopping to each their own rather look for support,pressure relief, and proper alignment of your body…..always protect your Matt and pillow with protector to increase it’s life from daily body fluids that breakdown the mattress ie. Sweat. How to find support by laying flat on your back on New mattress have your co buyer observe your alignment. Your body should appear evenly support as if your were standing straight. They must step back approximately 3 ft to observe and kneel for proper viewing of alignment….mid section dips there’s not enough support….Don’t buy that mattress….secondly after finding support turn to your side using a pillow…test for pressure in your heaving zoned areas which are your hips and shoulders….rate the pressure or lack of from 0-10….select a proper pillow for your normal sleep position a try lying on mattress in that position for 20 min….if all is well buy mattress…No other factors will decide price ie springs vs coils vs memory foam etc…always test mattress for noise….normally individually wrapped coils are quieter then regular springs that are bonded together…while memory foam of silence…..good luck…..Remember we spend 1/3 of our lives in bed on a mattress….70 hours a week vs 10 hours in our cars average cost $16,000 that’s benefits our body’s none only our egos. Look to spend at least $1200. For a decent queen set and you’ll be fine…. You are so right Mark. We bought a 5 inch foam top on a mattress that was so comfortable when we laid on it at a mattress store, we were convinced it was the one for us, and $2200 later we walked out of the store knowing we bought the right product. We’re in our late 70s early 80s, and after 3 years the sagging began. The saleman assured us the foam would come back up, but here we are mattress shopping again, but this time there won’t be a pillow, or foam top mattress! The mattress in the guest room was not a pillow top, we bought a 2″ foam topping from Walmart, and that’s where I sleep now. Much more comfortable!! Hum, I’ve found that mattress underground does not publish a negative blog if it is from one of his “favorite stores”. I’m thinking he gets paid to promote. Pillow tops don’t “wear out”. In fact, they usually contain the exact same materials as a standard plush mattress. The different is that pillow top mattresses have a gusset sewn into the top of the side of the mattress, allowing for more range of motion for the fabric up top. This allows you to sink deeper into the mattress. Similarly, plush mattresses often contain the exact same materials as firm mattresses. The difference is in the stitching. You’ll notice that the stitching firm mattresses is tight and connected. Plus mattresses have stitching much further apart, again allowing you to sink into the mattress like a hammock. All this begs the question: How can the materials and construction of a mattress POSSIBLY cost $1,000 and way up? It is patently insane. Regular, non-mechanical mattresses are wood, metal springs/supports of one kind or another, and fabrics. And they are MASS PRODUCED. It is absolutely crazy that they could cost any more than $500. Does everyone in the chain mark the product up 400% at each stage–from manufacturer to distributor, from distributor to chain, from chain to store and then from store to customer? IT IS UNDENIABLY WRONG and all the mattress retailers ARE IN COLLUSION. No longer a secret, mattress salesmen work off commission, and manufacturers give bonuses for selling their particular product or line. One month it might be Sealy, the next Simmons etc. Working for Macy’s mattress dept. I quickly learned from the other salesman what to push to make the most commission. Yes we were trained, and toured the major manufacturers facilities, but the bottom line, when all is said and done, none of them stood out as being better made. Only your back can tell. Find a reputable store that will give you as many days trial as you can get.. Get it in writing. Take as much time as needed in the store to find the right mattress. As I have worked in this business for 17 years be warned of stores that provide a “comfort guarantee” that allows you to reselect. These manufacturers do not take them back with a refund to the retailer just because it wasn’t as comfortable as you thought. Retailers are only issued credits if the mattress is deemed defective in material or workmanship. Unless the mattress is soiled (which voids the comfort guarantee as well ad the mfgr guarantee) they will re-package it and re-sell it. I promise you they do not just eat that mattress cost and throw it away after exchanging it. If they did I would never buy a mattress again and just go dumpster diving for a new one! You may very well end up with a mattress that has been used by one or more people. Take as much time as you need, lay on it in every position you sleep in, for as long as it takes. Take a nap if you must! Don’t be afraid to spend an hour+ laying on mattress. Also I highly recommend a Latex mattress with at least 7″ to 11″ of solid talaly latex. I worked at 2 different stores that offered a 30 day trial period. Every single one those that came back were rebagged and sold to some else without their knowing it. If you want to maybe get a slept on mattress then by all means go to a store that has a “trial period”. Most Sealy, Simmons, and Serta products do not have a price lock. Only Tempurpedic, Sterns and Foster, Serta IComfort,and the very high end of Simmons has a price lock. You are right, the margins are set to cover the cost of doing business. The break even point for the majority of mattress stores is a 35% mark up. Anything less and they start to lose money. I am not sure how the manufactures get away with price fixing, but it seems to be allowed in the mattress and industry, but illegal in all other industries. I own a family-ran mattress store and I can tell you that though many people believe this, it simply is not the case. While there are stores like sleepey’s that mark up the beds a ton before dropping them down for aggressive customers, there are also stores like ours that make a small margin that is the same across every mattress. With the new high density memory foams infused with gel, latex, and higher cost of steel wholesale costs can easily he to to the $1000 range on many sets. However. I don’t csrry tempurpedics, strerns and fosters, heirlooms, and some other high end brands because you really don’t get what you pay for. In my opinion Serta is the best large retailer out there in way of quality for the price and I especially have had a lot of success eith a bed lasting 15 plus years with the natural 100% Talalay latex line for side and back sleepers that our local Serta plant makes here in salt lake.. But the problem is that they don’t make it nationwide. Also, for people over 200 pounds each, 4″ of Talalay latex isn’t quite enough for a mattress to last more than 10 years. Unfortunately along with all of the other justified comments on here for problems in the mattress industry, there are also politics involved that make matters even worse. Even a lot of the review sites are biased and don’t offer a fair review of all categories. While I agree Serta is a great product and the luxury lines really do not add a benefit for additional support or life. They are more for keeping up with the Jones and you spend more money on fluff than anything. I think the best bed for the money that I have seen came from Southerland Sleep out of Nashville, TN. The quality of the mattress you can retail for $599.00 Queen is as good if not better than a $799 to $899 name brand mattress. Hi Matt, I’ve been looking for a latex matttress and two problem arise: first they’re only sold in 3″layers which move around despite the mattress cover; 2nd the range of the firmness within each of their levels (S/M/F) is too vast to get what is wanted/needed. Even at Savvy Rest stores, a $3300 product, a medium can be very soft at one store and firm at the next. Makes it impossible unless you want to pay for numerous exchanges. I live in Minnesota. Any stores in a 100 mile area you could recommend? Just bought a 100 % latex . Paid $3,500.00 for 10 in. mattress and 2 in. topper – all Talalay. Back hurt so much — I am 5 ft. 3 in. weigh 105 lbs. Trying to return it.. I was so sure latex would be answer to sore back. Slept hot and way too soft. It was supposed to push back .. & sleep like a cloud . Sleeping on couch. Spouse on old mattress in guest bdrm. I’m in San Antonio where there are more mattress shows than Walgreens and especially in poverty areas. I used my research and they are definitely in collusion. If you could see what I did, it would blow your mind. Like everyone, I just wanted a good mattress at a decent price. I had to haggle with the young guy but he knew what he was doing. Prior, I did no research. He sold me a floor model but then I had to pick it up at the warehouse. I fell for it. So I went to work on what I know, IT. All of the websites are location driven. Wanna buy a Stearns? Good luck finding a place that isn’t just a street down. If they can’t locate you by computer. They say we are sorry – page is not available enter your zip. I went a bit further. All of the sites Matterssfirm sleepys 100mattress etc are all the same website service. Also, all of the information for previous models do not exist. The distributor is around the corner and there is no way to value your purchase other than your desire. It’s one big unregulated business. I bet the FBI can review their ad, sales, and price fixing with their NSA database and put together the story. They are in collusion by disclosing sales, sharing competitive sources, and price hiking across the board. Buy consumer law, the government needs to stop this. You sound like a mattress salesman! I think John Moor is correct about having to pay for quality but I think the posts he comments on are not so much about cost as the difficulty of comparing a bed at one store to a bed at another and the resulting difficulty of consumer reporting agencies to rate beds because of the difference in names. It is pretty unusual to have the lack of transparency one finds in the mattress industry. Look at televisions — just as an example there are multiple 55″ Samsung LED televisions the lowest priced one being little more than 50% of the price of the highest priced one. Luckily, the features and product identification is the same throughout the retail market place,. Would Mr. Moor feel comfortable paying the price for a top end television if he had no way to determine if the television has the components of the top end product because it has a private label name and no other information. … Bet you work in the mattress industry! What did you pay for the car your drive, the living room table? None of those things will benefit your health the way a bed will. Did you mean to actually claim that buying a car with side impact airbags, ABS, etc. has less health benefit than what I lay down on every night? The latter presents me with such risks as backpain and…. well, backpain? 800 to 1400 is a great price range. Just buy something. Quit looking at online reviews, it wont help. Quit looking just go get a bed and quit being a looky loo. Do something with your life! I’ve been selling mattresses for over 12 years now, and worked for 4 different companies. Over and over and over again, I read different authors (including this one) stating how large the markup is of the typical mattress. That just isn’t true! The typical mattress shop has to operate at a 50% GP (ie., price the item at double the cost) just to get by! Why? Because of the high costs of retail leases, wages, taxes, utilities, and of course, advertising. Don’t be delusional! Those are not trivial costs! I am working on a business plan, and the fact is my break-even point for the Tucson market is $80k per month. While that is possible, don’t think that this figure is a piece of cake! And that is NOT a figure that will lead to quick wealth for the owner! Couldn’t agree more. My wife and I shopped for a new mattress for several months going into many brick-and-mortar type stores. It was insane that the “cheap” mattress was still $1,500. We were almost sold on a Tempurpedic, because you know…it’s a 3rd of your life when a co-worker told me about the Tuft & Needle mattress. The price was incredible and the reviews were good. We went ahead and ordered. The T&N ended up being a little too firm for us, so we returned it, but it opened our eyes to a litany of new online only companies. Ended up ordering from another company and are absolutely loving it. I’m really excited for the next year. Lots of new excited young companies. Going to be a great 2015 for mattress industry. Also please don’t buy serta and simmons mattresses. Lets keep the profit dollars in USA. They are a foreign owned company. I’m going to buy any mattress I damn well feel like. Don’t tell people what they can and can’t buy. American companies an CEOs are all to eager to rip off their fellow Americans. I don’t owe them any loyalty. And competition is good, keeping the assholes honest. Serta and Simmons may be shipped internationally and they may have factors in other countries but they are American companies just like Sealy, Tempurpedic and Stearns and Foster. I’m at work now looking at the law tags of my sertas made in temple, tx and my simmons made in phoenix, az. I will say that “traditional beds” are maybe 1-500 dollars marked up depending on the listed price but that’s just because consumers always want to feel like they are getting a deal. It is more important for me to match a customer with the right bed than right price. People don’t realize how important sleep is and how little sleep they are actually getting. Saying You spend 1/3 of life in bed isn’t a sales technic, it’s the truth. You spend $5 a day on coffee or energy drinks cause you didn’t sleep well but you think anything over $500 is too much?? That’s crazy to me. Also, the time and effort that goes into those beds! Mattresses are not mass produced in a traditional machine made way. There are people assembling them, stitching them together and all that good stuff. I’ve been several factories to see for myself. I’m glad that beds are different across manufactures because of online retailers… People come in lay on the bed before order it online and asking a million questions. Every salesperson makes commission or minimum wage. Don’t waste their time if you plan to order online. 10/10 times they will match the price if it’s similar. I know I’ve been all over the place I want people to value sleep and understand that every salesperson is NOT trying to deceive you. April’s comment is spot on. 100% spot on, coming from an owner of a Manufacturing company AND Retail location. Aril’s comment is the first one on here that is true. Most of the other comments in here either have an agenda or are completely mis-informed. There is a mish mash of truths throughout the blog and commentaries. The mattress industry is aware of the perception that the average consumer has of it and unfortunately there are retailers that perpetuate this image. Rely on a retailer you trust or that has been recommended to you. Contrary to some of the comments on hear, I’d stick with the brand names (Tempur-Pedic, Sealy, Simmons, Serta, Stearns and Foster, etc). If the retailer doesn’t back you with a warranty complaint, these manufacturers will. They are in competition with each other (to clarify Tempur, Sealy and S&F are all one company now as are Simmons and Serta). Every mattress from these manufacturers are man made, labor intensive and on average take a total of 4 hours to make (some a lot longer depending on brand). They are not just spit out in 20 minutes through an automated assembly line. The internet today is full of information. Spend time researching both retailers and brands. Look for reviews, plenty of them out there. Buying a bed is like buying a pair of shoes, what feels good to one may not feel good to another. I am not an owner of a mattress retail store nor do I work in one but I have written many subjects on the opportunities for the mattress industry to improve their image. The trouble with mattresses is if you lay on them in the showroom, 3 months later you get 1 inch body impressions even on an extra-firm mattress I recently purchased. It was a $1000 dollar mattresses, supposedly marked down from $2000. Mattresses are the biggest rip off ever! What are you talking about. These products are manufactured here in the US and they started off as American companies. Umm….Both companies are owned and operated in USA. Simmons home office is in Atlanta, GA. The major shareholder right now on the investment side is Advent International, which is an international investment firm, but the companies and products USA. That’s is good information you have on this website!! I bought a Sealy Posturepedic Cushion Firm Queen Size Mattress 3/26/14 from Mattress.com by the end of the year it was starting to sag. So it got worse and I decided to contact them about the 10 warranty I was suppose to have. They said because I live in CA they cannot honor the warranty. Why when I placed the order and they saw that I lived in CA they did not have a problem with this issue? They finally agreed to replace the mattress and give me a credit but it cost me an additional $124.99 to have it shipped to me. I thought of contacting Sealy but I read all the scams and claims turned down by Sealy. So I opted to go with paying more money for supposedly a better mattress. This time it was a Sealy Posterpedic Plush Mattress and I was told this was a better mattress than the one I had originally bought. This mattress after paying $259.56 to get it, the mattress lasted 2 days! It was sagging worse than the other mattress, so I called them and they told me that they could not help me because it was a one time offer to replace the mattress since it is a National Delivery! So now with these two mattresses I have spent $901.55 and my only hope was going to Sealy. So I decided to cut my losses. I contacted a local store Family Owned since 1954 Escondido Mattress and talked with them and they told me this mattress scam is a huge business. I also found on other sites that there are over 21,000 mattresses going to dump for sagging and other issues. Stop wasting your time any money trying to make the mattress you bought at wherever. It doesn’t matter either what brand you buy, Sealy, Stern Rogers, etc. they are all part of the same scam no matter what store you buy it from. I have a 1980’s Stern Rogers King Size and it is great! But I would not buy one today! Good luck to you and see if Escondido Mattress ships to your area. I am sure you would have to pay for shipping but I had to pay for that for the rotten junk I got. This mattress is like going back to the 50’s that lasted for years! You can flip it over turn it just like the old days. Not that bunch of junk in the stores. They make there mattresses right there in the place where I bought this mattress! After 15 years of sleeping happily on a Serta we went mattress shopping and this was our experience: I recently bought my Sealy mattress and box spring at Jordan’s Furniture. The mattress ended up being too hard. After only one week, my back was in pain and told them I wanted to re-select. They charged me $160 to re-select. After only 1 month I have noticed that my bed is making squeaking noises (like an old bed). We inspected the box spring and we noticed that it’s not a Sealy one, it’s not even a real box spring, it’s a piece of crap made of plywood and cardboard. I paid $170 for that. They sold me a Jordan’s box spring instead of a Sealy one. That’s very dishonest I think. I am contacting them right now to get a refund and get a real shock absorber box spring. Please, stay away from Jordan’s, there are many small family owned businesses everywhere. Get a real mattress and a real good box spring like a Gold Bond (two sided), made in Connecticut. Also if you don’t want to feel hot at night or smell toxic fumes, stay away from memory foam. I learned it the hard way. I hope this helps you take a better decision. Why do people pay in excess of 100,000 to drive a Mazeratti? Because you can’t build one yourself. The same is true for most any luxury item. Sleep on a cheap mattress for a week and it will destroy your back and health. Sleep is one of the four biological functions you can not live without. It has been proven that sleep deprivation causes severe health risks. Suffice it to say that I was willing to spend in excess $ 10,000 for my sleep system. The brand is not important, Because my preference may not be yours and what is comfortable is very subjective. We bought a temperpedic matress from Sleepys about 5 years ago. As it turns out, it was a huge mistake because of our like/dislike of the memory foam, not because the product was defective. We also had paid the additional amount to return the mattress if we did not like it. As it turns out (and they will not tell you this)…you cannot return the mattress and get another one unless you get a more expensive mattress. Its not a return policy, but and exchange policy for a more expensive product. what you do….try the store first, than call the home office. Have them put pressure on the store to return the product and they will. Just FYI Mattress Firm, does allow exchanges down or up…100 days exchange sleep happy guarantee. I wish I was helping you, if a memory foam bed isnt for you I would have got you on the best bed for you, whether it was $100 or $3500. Comfort is subjective. Accurate about sleepys though. I hope they change that! We bought a king set from Sam’s Club 12 years ago for our seasonal (4 months a year) home. It was and remains the most comfortable mattress we have ever had, and we have a Stearns and Foster in our home at five times the Sam’s Club price. I’m going back to Sam’s or possibly Costco for our next one . My major concern after deciding ,based on my research about Tatalay vs Dunlop,has been the chemical cocktail the mattresses are subjected to. I believe that issue,over arches all other issues when it comes to buying a mattress in North America. It is difficult to determine what you will be exposed to. And what damage you are likely to suffer over time as a result of this exposure. For mattress information try Sleep Like the Dead (http://www.sleeplikethedead.com/), lots of user reviews. Bought my last mattress on line based on the reviews. @Parker~ thank u for ur input. I found it very helpful and informative. Makes great sense! Interesting conspiracy theory shows that the whole industry is built on an unseedy past. I don’t know how much of it is true, but weird to say the least. Disclaimer: I work for a mattress retailer. I just would like to address the points he listed out one by one. Not trying to be combative. Just want to show the other side of that coin so everyone can have big picture view of the talking points. 1. The sales guy may have been abrasive, which nobody likes, but if is a commission salesman & he gave you that good of a deal, he probably took a huge hit on his margin which means his commission on the sale would have been bad for him. So he could have been taking a financial hit trying to help you out. Not say he did, just saying it’s possible. Also of course mattresses have high markups. I never understand why people are shocked at this. It’s retail 101. I always ask this to those who find the price a little high. If you made a product that billions of people used daily for 1/3 of their day & could last them decades if properly taken care of, how much would you charge?….. I’ll wait…. Also even with markups the mattress retailers are providing a service to the community. I know, it sounds crazy. You have to look at it from a larger perspective. I like to related to the car industry, where a large Ford dealership can’t buy F-150s for extremely low prices from Ford because they buy and such high quantities. My wife works for the corporate side of a car retailer and her company just bought brand-new suburban from Chevy four $17,000 a piece. Can you go to Chevy and buy a suburban brand-new for $17,000? Now you can’t not because you don’t have the same level of buying power that a major company does. It’s the same thing with mattresses, you can’t go to Simmons and buy a brand-new product at the same price that a major retailer can. Therefore we’re actually providing a lower price point than you would have to pay if it wasn’t for the retailers (even with the markups). 2. The retailers don’t give the mattresses different names, the vendors do. Vendors want their product in our show rooms so if you’re a large enough company they will actually make beds exclusively for your company. This is how they reward retailers for carrying & selling their product. It would be poor marketing for retailers to turn down an exclusive line of product. All businesses are trying to set themselves apart, and this is one it’s done in the mattress industry. It is inconvenient for people trying to price match and compare, but it’s pretty simple most mattresses come in a plush, pillow top, or firm. Most mattress companies create different series a luxury, popular, and an economical choice. You’re right on the money with your solution compare the apples to apples feels in each category of luxury, popular, and economic. 3. If you’re having trouble getting stats and specs on your mattress and that is unnerving. It’s usually easier to tell the specs of the mattress then what the specs of the mattress actually mean. So if you’re having trouble, or the salesman’s having trouble telling you what’s in the mattress I would go to a different store. It’s pretty easy to real off specs from mattresses, but I like to learn what it means to have more or less coils or what it means to have this kind of foam more than that. Once you learn the purpose of each material then you can conclude what more or less amounts of it will mean for your mattress. 4. There is no objective measuring stick for mattresses because feel is subjective. Also, there’s no data showing coil counts matter because nowadays there are different kinds of coils with different kinds of strength levels made of different materials so saying you have 420 coils in one bed and 420 and the other doesn’t really mean anything because if one bed has a triple wrap coil is that going to provide more support even though they have the same coil count. So keep in mind the reason there is no “this coil count is better than this coil count” is because you’re not always talking about the same coil. That goes for all the different materials and a mattress. And even if they tell you how much of what is been the mattress, they’re not going to tell you the exact ingredients in each foam in the exact gradients for each comfort layer. Just like Coca-Cola will tell you what’s in their drink but is it going to tell you what the formula is. Companies are going to continue to keep their proprietary blends in their products so their competitors cannot replicate their product exactly. 5. There are very little reviews of mattresses, but keep in mind that not high volume product. Most people only by 3 to 5 mattresses in their lifetime. And a lot of times people only review things that they’re not happy with. I know personally I have never left a review if I was satisfied with something. I want to be clear in saying that I don’t think that everybody’s happy with their mattress that’s why there’s not reviews, I’m just saying it could be a culmination of a lot of things. I am a mattress salesman and have the duel career of being a well known variety act. I am personally responsible for increasing the size of my dept. store’s mattress section from 21 to 75 mattresses. I had excellent help, of course, from those that I helped train. I am the most honest salesman you ever encounter and want to help you. I do my best to stay within your budget and help you pick the best mattress for you. I cannot help you with the price, because I don’t set the price. But, there are a number of things you should know. 1) Box Springs are seldom better if they cost $200 by a certain brand, or $100 for the same company’s “lesser” brand. 2) Never buy the cheapest advertised mattress! I have nothing to do with it being on the cover of our ad (and hate it). But, they are trash! A barely use able mattress will have a 5 year full warranty and a good to excellent one a full 10 year warranty. The ones so many of you rush in about have 1 year warranties! Spend the extra money or you WILL be sorry when you spend even more money later on a decent one. 3) The gauge of steel in your coils are more important than you think. A smaller number is the stronger steel when it comes to gauge. Anything under 14 is excellent. 14 is okay if the number of coils is good. (800 or more in a queen size pocketed coil is fine too.) 15 or 15.5 or above is a really soft coil and is MUCH more likely to break down! If your salesperson does not know the gauge, it could be because the manufacturer (brand name) doesn’t want anyone to know……even the salesperson! I myself have been burned by this before and it makes me feel like a liar if I find out what I was told was a lie. I am too smart to make that mistake now and drill my manufacturer reps for the truth. If the info. is not readily available on the product sign, ask your salesperson. Don’t be afraid to ask them how they know this either! 4) The Labor Day and Memorial Day Sales are generally the best time to buy a mattress. Prices are never lower than then. There is so much more I could say. If anyone is interested and responds, I will. I learned a lot from reading your post. I’m shopping for a mattress right now having gone through five mattresses in the past nine years and would like to read more of what you have to say. Hi, I have been searching online for customer reviews on a certain mattress set i purchased. I am now concerned because slowly I feel like I am getting the run arounds and I am worried. I do not want to assume anything yet so I am hoping to get some advice. First of all, my boyfriend and I webt into a mattress store about a week and a half ago to purchase a bed set. The salesperson there was very friendly and seemed to be knowledgable in the products. He was not pushy at all and was very patient in letting us try out different beds to make sure we felt good in our purchase. He also told us what he would not let us buy due to. my boyfriends weight. He explained that the soft mattress may feel comy. now but as we wear out the mattress it wont be comfortable for him. we ended up buying a set which he said there was no mark down for and that it was a queen size adjustable bed. we tried that bed a few times back and. forth with other beds. We finally decided on that bed. he told us he could not mark it down and that it was going to be $3400. He asked us first what our budget was and we told him within 3 to 4 thousand but not more than 4. after we decided he told us he would throw in free pillows. We were very grateful for his knowledge and service. after signing the paper work and putting a thousand down and financing the rest, he said that the bed would be delivered on thursday. so we said ok we will make arrangements for someone to be home. Then he called me on wednesday and said the bed set had a part that still needed to come in. I was glad that he called me to touch bases. He then stated that our bed may be delivered friday or saturday and if not he guaranteed me Wednesday. He said not to worry he will call me to keep me informed if not friday or saturday. I didnt mind if our bed came saturday because i was off from work. He never called, i wasn’t too worried because I figured he said if not guarantee Wednesday. Yesterday came and no bed delivery to our home. I started to get worried because I would figure he would have called us tuesday to inform us again that the bed wasnt being delivered the next day but he didnt. So my boyfriend decided to call him. He informed my boyfriend about the part we were waiting on. He then said by the 5th we should be getting it. I asked my boyfriend to call him again and ask if it was going to be certain this time so we can prepare our room and take out our old bed and request off from work to prepare. My boyfriend called him back and asked him if he was sure if it would be. delivered that day, he said something about an iphone installation app feature that they were installing so we could use our phone with access to our bed, i’m not exactly sure what the salespersons exact words were that the iphone would do, but basically that was another reason there was a delay and he said there was nothing he could do except call us as soon as its ready to be delivered. I am worried we were scammed because of our innocence and no knowledge of what we were purchasing except to trust the advice he had given us. I am second guessing our purchase now because of the delay and different reasons for the delay, and of course only once he called us without any apology or much concern. It was as if he was a different person after. finally, since my concern because of all this happening i double checked my invoice to make sure i looked at the product being purchased. Now i am much more concerned because my invoice which i dont really understand doesnt seem right. the first line states vendor ” SER” then type ” F “, then purchase ” Sertra Motion Perfect III “, qty “1 “, price and subtotal ” $1700.00, the next line is vendor ” PRO”, Signature Matt Protector” price and subtotal $100.00, 3rd line vendor “SER”, purchase ” iComfort Scrunch W/ Dual Effects” , price and subtotal “$.0.00”, then lastly vendor “SER”, purchase “Bellagio Azzura FM” , type “M”, qty “1”, price and subtotal $1674.00, total $3474.00. He told us the price of the bed set and i looked and the invoice hurriedly and excited that day just knowing what he said matched my end total. I did not question our purchase once until the delays, no other promised communication, and the change in his personality. I am having a hard time deciding if I should just get a refund or wait and give him the benefit of the doubt. I dont want to be naive and get screwed over, but then again he may be telling the truth but afraid to keep letting us down on the dates because he promised us that. And now because all that happened it makes me question my invoice on the separate totals. Is one for the mattress and one for the frame? why 2 separate and large totals and not one big total? Is the frame and mattress similar in price? i am confused now and feel like an idiot for not really looking at that before I left. I maybe just paranoid right now so I might be assuming everything might not be right because of the delays. I am hoping to be convinced that I am worrying too much and that happens often and the excuses and invoice pricing he gave are very legit. That will make my decision easier on waiting and keeping the bed set. I just dont want to wait because there policy is once the bed is received i will not get my full refund back if something wrong, but can exchange after so many days of trying but will pay extra for a more expensive bed set and will not receive money back if exchanging for a cheaper one. I understood the policy and will not argue that and that is why I need help on what to do, i can only receive my refund if we did not receive bed set yet, can only exchange once we receive bed set and that is why i need help soon on making the best decision. We really want the bed set, but i dont want anymore problems or setbacks is what i am worried about. can you help me? Like Kathy, above, I bought a mattress online from “Sleepy’s” and was completely disappointed. When I tried to send my allegedly “firm” mattress back (it wasn’t firm), I was told it was a “National Delivery” and they couldn’t take it back. I even offered to pay the freight myself and was told the same thing! Sleepy’s is an awful, dishonest company. They are everything Americans hate in a large corporation. Chances are you will end up as happy as I am. “homed in,” not “honed in.” To hone is to sharpen. Good article and much needed. I completely agree that the mattress industry is a repulsive scam. I loathe everything about it. My biggest shock was discovering that manufacturers now make only one-sided mattresses. So you can’t turn your mattress. So it wears out faster. The salesman claimed that mattresses were made better so that you don’t have to turn them anymore. Yeah, right. I bought my elderly father a new mattress a few years ago and after about six months it had a huge depression where Dad’s rear end went. Mattresses sag because of cheap foam. Better foam doesn’t have as much “air” in it. 2.5 to 2.8lbs is a good foam. Good luck finding that in any big name company. For all the ‘industry’ people on here a question (and comment/rant, sorry it’s a frustrating topic, I don’t mean anything personal by it): What is the deal with the warranties, those seem like a large waste for the most part. I have had several foam or mostly foam type mattresses that lose their firmness which is very easy to feel rolling around on the mattress but they do not visibly ‘sag’ from the top, which warranties seem to require. Do mattresses ever visibly sag anymore? To me the layperson it seems like they will lose firmness which you feel and are annoyed by far earlier than a big enough visible sag would appear, so you end up having to get a new one that hasn’t started giving out. Maybe if I kept sleeping on it for 4 more years it would sag enough for a replacement but who is willing to do that to their health? Seems like kind of a setup that only protects you from catastrophic construction problems which would be obvious very early on. Comparing mattresses to auto’s seems a bit crazy. Autos are a million times more complicated and have hugely different materials, manufacturing and safety needs. I know they are both traditionally a big PITA to purchase but autos have done a lot better in the last 10-15 years and have always had better comparable objective data about them even if the feel of driving every single car is different. I don’t buy any of the arguments about why it’s OK for brand/model to be only at one store, and lack of objective facts about firmness/spring/motion transfer/heat retention. It just anti consumer. Not sure why it is supposed to be considered common knowledge that you never pay full price for a mattress and that you can magically figure which brands different ‘exclusive’ models are really the same. I did my reasearch and don’t pay full price and can work out which are comparable but it is a huge non consumer friendly PITA. Straight foam mattresses I could see being made industrially at scale, cutting foam and gluing different densities together in different ways seems like it would be fairly trivial mechanically vs all the automation that goes on in other industries. No idea if that is happening or not at this point, but robotics are getting better all the time so I would assume people with the capitol to start using them will be able to really drop the price point at some point if manufacture is actually the big cost vs material and delivery. I like the depth of reviews here and the many angles presented in exposing the hoax and gimmicks that have taken over the mattress industry. Our company, Beds By Design in Northern Michigan began in 2004, after most major mattress companies were bought out by investment firms and began competing and churn out cheaper products more quickly. Our founding president walked away after 25 years in the industry as a national plant manager or supervisor because he could no longer tolerate the intentional planned obsolescence of the products, nor the reliance on cheaper, chemical laden foam products. Does anyone remember when mattresses used to last? Our company went back to the old school methods that take time, are not mass produced and use craftsman techniques such as inner and outer hand tufting. There are hardly any mattress manufactures out their like this anymore. But it is worth searching for a company like this. Look for smaller, locally owned mattress manufacturers in your state, or one that ships in the US, that still handcraft, one at a time and don’t rely on mass production. Reliance on natural materials is of course another major consideration. Here’s another angle to consider and that’s the risk of large chains forcing the manufacturers to “decontent” the mattress to make it more profitable/ give better sale prices than the smaller stores. I had this problem when looking for a snowblower at Home Despot, so the idea of this happening to mattresses, an item that is very difficult to determine inside quality etc, isn’t beyond the realm of possibility. Personally, I am doing a year of due diligence followed by trips to a trusted small mattress store. I am prepared to pay the money if needed. I won’t be swayed by massive sales. If it is too good to be true, it probably is. As an aside, I found the beds at Sheraton to be the best I’ve ever slept on and Sheraton does have an online store where you can buy their mattresses from. Best deal on the Serta lines has to be at Biglots. You can get great sales there. I just picked up a King Size set plush Firm Serta Super pillow top and double box spring there for $799. Non flip of course..but for the money I think it’s a reasonable deal. I wouldn’t pay more. Can’t even really flip mattresses any more and for over 1K it better have damn padding for flipping on each side! That’s the biggest scam going in the last 15 years. “advanced tech” making it “not necessary to flip mattresses”. Yeah… big money maker for the investors, and and scam marketing for the buyers. Anyways…BIG LOTS!!!!! They are a reseller for the whole line of Sertas, and you can get there 20% off sale regularly. Simmons for there sofas too are value branded with dowel construction and you can get them around $300. Stick with the simmons on their sofas, and your good to go. They have the best deals going mattresses and sofas by a long shot these days. If you need a new mattress I suggest getting a mattress topper until you find a store that has excellent reviews and that stands behind their product. I purchased from mattress with their sleep happy guarantee thanks change the mattress when they came to exchange the matches they look at the box spring and I noticed a tear before I go on to that part about the chair I called customer service who got me in touch with a general sales manager who had my sales person whose name is Pamela wells in Webster Texas call me I purchased a mattress with their sleep happy guarantee I thought it was defective because it concave takes change the 1 they came exchange in action they look at the box spring and I noticed when they can exchange in action they look in the box spring and I noticed a chair before I go on to that part about the chair I call customer service who got me in touch with I general sales manager who ask me if I had any pets I said no I don’t have any pets she told me that that’s just a dust cover and most people remove that anyway which is b*******!! Nobody cuts off the fabric underneath their box spring nobody that I know nobody that I have spoken to no one in their right mind as I continue to tell her that the fabric was torn she told me to stop saying that, as if the conversation was being recorded for quality purposes. I told them that I did not want the mattress according to their sleep happy guarantee and I was told that I would have to pay $137 for a restocking fee. That mattress was definitely not the mattress that felt so comfortable in this store I still have the mattress unfortunately I’m stuck with it and I do not wish my worst enemy to do business with Mattress Firm they are scam artists! I,m looking for a new mattress. It would be useful if people posted successful long term purchases_ that you,re still sleeping on. What is it, what,s in it, where did you get it? And recent purchases you love. We purchased a Sterns and Foster, when Sterns and Foster was still owned by Sterns and Foster (prior to 1993). Now when you buy a Sealy labeled Sterns and Foster, what your really buying is a Sealy, with a Sterns and Foster name tag. We purchased ours in 1990, and just replaced it last week…….I know your not in the mood for math, so I will tell you our mattress was 25 years old, and could have lasted a few years more. We replaced it with a foam Mattress from “Casper”, a new online only company, and love it. We discovered “Casper”, when we needed to replace a full size Sealy mattress from Sam’s that my 16year old son was using (that mattress was not even two years old, and was shot). Casper ships for free, gives a 10 year warranty, and offers six month, interest free financing with Affirm. They also give you 100 nights to try it out, and if your not happy, will come pick it up for free, no questions asked (if they can’t find a charity to take it, they dispose of it, but very few people ever send it back). I can’t tell you how much we love our new bed. With 100 days to try it, there really is no risk to buying site unseen. It costs nothing to visit the Casper mattress website, where they do a bang up job of explaining any questions you might have. Don’t worry about any kind of foam smell either! It takes about an hour to completely expand (for king size anyway), and we were sleeping on it that night. UPS delivers and the King size was just under 90 lbs. I had a mattress horror story this past week. My old mattress was sagging and hurting me all over. First I tried buying a 4″ memory foam topper. It was a nitemare. I sank into like quicksand and couldn’t get off it. It ripped my back out. I got rid of it within three days. I didn’t know how much the industry had changed. I went to a cheap place in town and made a terrible mistake of buying a way too soft pillowtop set. It was worse than the memory foam and hurt my back and legs to where I thought I was going to end up in a wheelchair. I needed a firm brick of a mattress, not a pillow. I let them try putting wood under it, didn’t help. Then, I went to several stores in town and they all wanted a fortune for me to get a real good set. I finally found my dream mattress at Sleepy’s and the salesman was great and gave me a cheap price on it. I got my extra firm mattress delivered the next day and I love it. It’s already helping my back. You have to shop around. I wasted money on the topper and the bad mattress. You can never really make a bad mattress better. You might be able to squeak more life out of it sleeping on the wrong side with a topper, but doing that won’t last long. And if you need a brick like I do, nothing but a brick firm mattress will do. Also, 99 percent of the warranties are garbage. They won’t do anything unless your mattress is in brand new condition and even then, they will try to never honor it. I actually sell mattresses for Sears and I can attest that everything you said is true. The “retail” prices you see in stores is totally false. The sale prices are the actual prices of the mattresses. Different retailers carry the same brands using different names. The best mattresses are generally going to cost upwards of 1000 dollars for a queen set. The really good ones like Beautyrest Black can run upwards of 2500 dollars for a queen set. I always tell my customers to ignore the signs. The signs are just retail trickery. I’ve been sleeping on the same mattress for the past 40 years ! Yes, 40 years ago my wife and I purchased a waterbed. We can adjust the comfort level by increasing or decreasing the amount of water in the “mattress”. It’s even better than a conventional mattress because the “mattress” is heated. If we should ever have to buy a new “mattress”, they cost about $50 for a full motion and a few hundred for the wave-less types. We have “sheet tucks” so we can use regular bed sheets. Sheet tucks are nothing more than a formed piece of fiberglass that grab the sheet and keeps it tucked in. A 2×4 would probably do the same job. I think eventually the bed manufactures will turn to a water bed after they’ve bilked everyone gobs of money selling them foam and air filled beds. The manufactures will need a new gimmick to sell and they will see a waterbed as the new comfort product to sell. Unfortunately that will probably mean that a $50 water bed mattress will probably then sell for $500 and up. So I sleep very well on my heated waterbed mattress that contours to every curve on my body (gee, sounds just like some of the advertisement I hear about those expensive regular mattresses). I don’t have to replace my mattress every 8 years so I keep thousands of dollars in my pocket ! I have a 20 year old “number bed”, it was “Select Comfort” when we bought ours, they since changed the name. Anyway, I can adjust the feel to whatever I need. Some days I like it soft and if my back is bugging me I firm it up. Push of a button. It has been worth every penny. I don’t need a new one yet. I went to Amazon.com last December and researched a King sized 10″ thick (includes 3″ cooling gel layer) foam mattress and paid a total of $452 including tax with free shipping from Sleep Innovations. It arrived two days later (via prime free 2 day shipping) to my house vacuum sealed in a small box that weighed a little over 100 lbs. Amazon offers a 90 day free exchange/refund if your not happy and the mattress and the shipping company provides their own box if needed. The mattress I ordered came with a 20 year warranty for what it is worth. Even if this mattress only lasts 5 – 10 years, I can still buy 5 to 10 of them at this price vs buying a similar overly priced single piece of foam from a mattress store. Thanks to Amazon.com for sticking it to the mattress industry!!! Thought of doing that…. what do you do for a foundation (boxspring) or do you have a platform bed? This is interesting. I just wondering with the use of robots which may spend more than their low-cost labor, will they increase the price of their products? I yell expletives out the window when I drive by a Sleepys. I’d rather say that I’m only upset at myself for trying and buying in one evening, because this is really is worse than car shopping. The mattress was around $600, which I thought reasonable, but with boxspring, wheel-less frame with plastic feet, delivery and tax, the sales lady — who when from plush to extra firm and she closed the deal — made sure she nabbed a $1000 purchase. I lived a mile away and probably have saved on delivery just by renting a U-Haul. Unfortunately, my medium-“firm” Serta (Landover, Maryland) will not even make the four-year mark. I’m the sole user, 140 lb, and this twin’s got enough center sag to pinch anyone’s back nerves in multiple places. I’m more comfy on any motel or sofa bed. In fact, between beds, I actually piled blankets and comforter and curled up on top of my kitchen table, and got a better night’s sleep there. We bought a Restonic space foam bed ($2500) and had no problems for the first 6 years. Then it started to sag bad in the middle and I was unable to sleep on it anymore. I called the place of purchase in Grand Forks, and they told me the factory that made it was only a 5 minute drive from them. So I called them and they said to bring it down. They took it all apart and replaced all the foam inside within a 2-1/2 hour period that same day, and I was on my way back home! All at no charge!!!!! What great service and excellent people to deal with. Now, saying that we have also purchased a $2500 Temperpedic piece of crap……and after only 6 months, I am fighting for warranty over it sagging bad. Still waiting to here about that one. I should have just bought another Restonic. So i just spent $2000.00 on a new mattress and the next day my kid puked on it! and i cant return it or anything, so there is a nasty stain. i ordered a mattress protector from http://www.protectabed.com/content/mattress_protectors.asp but i need help on how to get out that stain. any suggestions? is this the wrong place to ask? Did you try some of that stuff you buy to remove dog/pet protein stains ? It is “Nature’s miracle- advanced formula” Dog stores like Pet Smart etc. sell it- follow directions . After it is dry — Also- try baking soda after you have cleaned it the best you can. ( odor removal if smell is still there. ) let it sit and then vacuum off after 8-12 hrs. don’t know about the stain since it’s been a while and dried but for the smell….my very old cat wet my bed one night. I dragged the mattress outside to the deck and soaked the wet spot with hydrogen peroxide. literally poured the whole bottle on it. left it out there all day. between the sun and the hp the smell and stain were gone. worth a shot. Casper is mentioned in the comments several times but it seems like they are not any better. There are some serious shady things about that company and its owner Philip Krim that’s wooed a bunch of celebrity investors and branded itself as anti-establishment, and it’s just a matter of time before it implodes on itself. I am in the mattress industry (sales person) and I just want to point a few things out. 1. You are absolutely correct that the manufacturers do give every store chain a different name for the mattress. 2. The only difference between pillowtop,plush,and firm in the same series is the comfort level. 3. Yes there is a markup in price just like everything else. If companies sold everything at the price they got it for then they would go bankrupt. 4. There are a few manufacturers that are price locked and there is no going lower on the price. 5. If a salesperson told you one bed had a 2.5 density while the other had a 3.0 density would you know which one is better? It’s not just about knowing the facts it’s about finding what comfortable for you. BTW the answer is either there both from the same series but ones a firm and ones a plush. Look I know sales people in the past have given us a really bad name and it’s hard for the good ones that wanna help be able to help you. Does everyone need a $5000 mattress absolutely not but there are those that do. This is an investment that you will be making. If you have any questions about mattresses please send me an email ( it will be shown at the bottom). Im not looking to sell you a mattress, chances are I can’t anyways because your not in my state or near my store. I simply just want to help people get informed. I’m a disabled vet that spent a year looking for my correct mattress. Thanks for taking the time to read and I look forward to helping anyone that I can. Right on Brian, I’m in the same boat, been selling mattresses for over 3 years now. I’m not gonna deny the people complaining on here have had bad experiences purchasing mattresses, which I’m sure is true. Reading the comments however gives me the impression that they purchased from a big box store, made a rush purchase, and didn’t bother asking the salesperson anything about warranty, comfort trials etc. Agreed that buying a mattress is the worse and it doesn’t help when the sale guy is exaggerates about the product. I just found out that the ‘organic mattress’ I bought contains 21 chemicals in the latex deemed “moderately problematic, but acceptable for use” and a LOT of Polypropylene. Needless to say, its not an organic mattress after all. To make matters ever worse, the mattress is hot, the quilted top matted down immediately, its sagging on the top and sides, and much more. When I found out about the Polypropylene, I checked out all the other dealers (16) of this particular mattress and found that NONE of them mention the Polypropylene even though they list and describe the other components in great detail. What are the odds that all these dealer are omitting the same synthetic component accidentally? I think its unjust that they omit this synthetic component from the descriptions WHILE advertising the mattress as an “organic mattress”, “all natural mattress” and more. I advised the manufacture of the nationwide omission of the synthetic component and they have done nothing. The manufacture is Berkeley Ergonomics in Ontario California. Owned and operated by Colin Hunter and Andrea Karsten. I would never recommend anyone to this firm to anyone. I could not agree more about the crooked mattress dealers. We bought a Simmons Beautyrest Hybrid medium mattress from Value City in Ohio. We hated it and tried to return it. The salesman said that we should try it for up to 30 days as it takes time to get used to a mattress. After thirty days I tried to return it twice. Each time as soon as I said I didn’t want the latex, gel, foam etc. and only wanted a regular spring mattress all the sales guys would disappear from the floor. It was bizarre. Turn around to look at something and gone. Unfortunately each time I was in a rush. The manager even got angry at me for not wanting a more expensive mattress. He said he would get the paperwork and I never saw him again. My big costly mistake. Then my daughter stained the mattress. We had a stain proof cover on, but that one was not stain proof. Now we have an expensive mattress with no warranty that we hate. That was seven months ago. This review is to say that as its now getting warmer out, this thing is ridiculously hot! I really don’t know what to do. It costs so much we can’t just get a new mattress every year, but sleeping on this is hot and uncomfortable. I may try a egg crate topper or something else but am really stuck. Let my mistake be a lesson. My advice is don’t get any conforming material, no matter what they say about it being cooler. It is not! Don’t buy from Value City. Go with a store that has regular items and a regular counter for returns. Good luck and know that the system is rigged. Thank you for this blog. Just paid fortune for a latex ” all natural ” & hate it. They made out all spring beds to be bad . Thought latex answer to prayers . No. – Sleeping on the couch. Wow, just started our search here on Vancouver Island, B.C. Canada, and I must say thatthe rip offs are not limited to the Mattress dealers south of our borders. Our last King mattress was purchased from Sleep Country for $1800 before taxes etc 6 years ago with a 10 year warranty against ANYTHING. And we paid extra for it. When the bed troughed after 12 months I had an inspection done. According to the ‘inspector’ ( hahahahahahaha) And a measurement taken with a level, just like the one in our toolbox,my mattress was deamed not an acceptable to qualify for the warranty and we had to wait another year before our next inspection. 3 years later and 3 inspections, I gave up. NEVER BUY FROM SLEEP COUNTRY! Shysters! Anyhow, thanks for all the comments and suggestions. Gives me hope! I’m an older female weighing only 120 lbs. I sleep on my side and I have relatively large hips (that is, compared to a man or to a child though not unusually large for a woman). This means that when sleeping on my side those hips have to have somewhere to go. They can either nestle down into the surface of a soft bed, or they can rest on a hard horizontal surface which means something has to give and it’s my pelvis and spine that ‘give’, being jacked out of normal alignment by the the fact that the hip is resting atop a hard surface. And because I’m older, my pelvis and spine are less forgiving of long periods of deformity than a younger skeleton would be. Finally, the fact that I’m only 120 lbs means that I don’t have a lot of weight pushing against whatever the mattress is made of, i.e., the surface of the bed is more likely to deform me, than I am to deform the surface of the bed. I am not a physicist, and one shouldn’t have to be one to understand these simple points. It’s astounding to see the dumbfounded blank stares I get from salesmen (yes theyr’e always men it seems) when I try to explain these simple issues. I might as well be asking them to solve a quaternion equation in 14 unknowns. There might be a mattress out there made for me, but I’m pretty sure I’ll never find it. So every mattress I own ends up being modified with a variety of pillowtops and foam purchased from the local sewing store. Great deal for $3000 eh? This is some comment chain! Impressive. I’ll keep it brief. I bought a Simmons hybrid. Was told it wouldn’t offgas from . Returned it and got a Loom&Leaf, which has a ton of good reviews mentioning how little it off gases. Well, it was almost as bad as the Simmons! Returned it and got a SleepOnLatex mattress with 2″ of 20ILD on 6″ of 34ILD Dunlop. Way too firm. Looking at a SleepEZ now, but it’s all becoming a bit weary. Agree with all. Buying a mattress is worse than buying a car and commissioned sales guys don’t help. I just wanted to share this un-bias web site that is great for JUST GETTING INFORMATION. They do not sell anything and they are not afflicted with any mattress firm. If anyone is interested in a REAL organic mattress with all the certifications, there’s a great chart so you can see what firms have what certifications at a glance, and which firms have none. If you want an all-latex mattress at a great price and are willing to buy one on-line, they have a page/chart for this too including prices, return policies, etc. Also good info on ‘terms to watch out for’, and ‘questions to ask’ when shopping. If you have any questions, they are really helpful too.